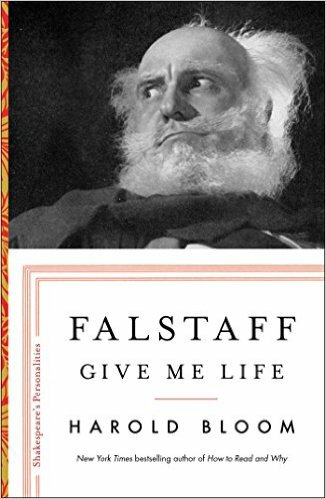 Falstaff: Give Me Life is the first in a sequence of five brief volumes, “Shakespeare’s Personalities.” The others are Cleopatra: I Am Fire and Air, October 2017; Lear: The Great Image of Authority, April 2018; Iago: The Strategies of Evil, May 2018; Macbeth: A Dagger of the Mind, November 2018. Harold Bloom presents a wise, intimate, and compelling portrait of Falstaff—one of Shakespeare’s most complex comedic characters. Falstaff is both a comic and tragic protagonist in Shakespeare’s three Henry plays: Henry IV, Parts One and Two, and Henry V. He is companion to Prince Hal (the future Henry V), who loves him, goads, him, teases him, indulges his vast appetites, and commits all sorts of mischief with him—some innocent, some cruel. Falstaff can be lewd, funny, careless of others, a bad creditor, an unreliable friend, and in the end, devastatingly reckless in his presumption of loyalty from the new King. Bloom writes about Falstaff with compassion and sympathy and with unerring wisdom. He uses the relationship between Falstaff and Hal to explore the devastation of severed bonds and the heartbreak of betrayal. Just as we encounter one type of Anna Karenina or Jay Gatsby when we are young adults and another when we are middle-aged, Bloom writes about his own shifting understanding of Falstaff over the course of his lifetime. Ultimately we come away with a deeper appreciation of this profound character. Bloom achieves an exhilarating clarity in Falstaff, and the book becomes an extraordinarily moving argument for literature as a path to and a measure of our humanity.